Johann Sebastian Bach’s last work The Art of Fugue (1749-50) was only rediscovered in the 1920s. Although printed shortly after Bach’s death it received little attention and was treated more as a study in fugal composition. After its rediscovery by Wolfgang Graeser this work was given its first performance on 26th June 1927 in the Thomaskirche in Leipzig directed by Karl Straube, 178 years after it had been composed! Now this masterpiece from Bach’s musical legacy has been recognized as being unparalleled in the history of music. Erich Schwebsch, the musicologist, has characterised it as a dizzying mathematical construction full of multiple movement, form, symmetry, transformation and analogy: as “resounding cosmology”. Graeser himself called it “probably the most colossal work of occidental music”. 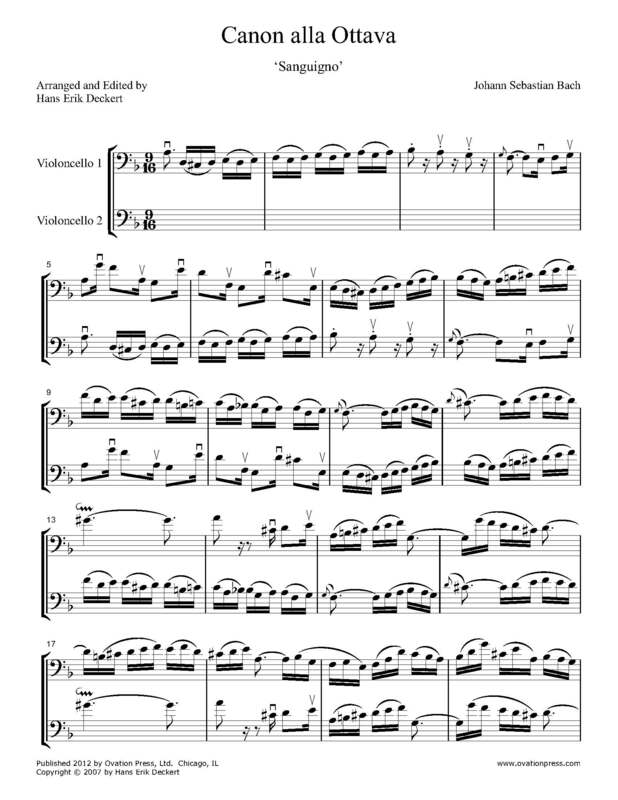 The Art of Fugue was originally written for a keyboard instrument and has been performed in many arrangements since then. In this arrangement of the four two-part canonic fugues for two cellos, the upper voice has simply been transposed down an octave.